I started to write a post this morning about the interesting things we see on our street, but I got distracted. First by the clouds from a passing storm this morning, then by the six mynah birds hanging out on our neighbor's roof. I love the birds we see every day in Hawaii. The mynahs are most often seen in pairs, so I suspected they are mating birds. They are a member of the starling family. I try not to hold this against them. They lay turquoise eggs. Well, only the females. They mate for life. Apparently they have iron clad prenups. They arrived in Hawaii in the mid-1800's to combat a moth. Like most creatures, they arrived with baggage, including avian malaria. This, and other reasons, makes them the avian bad boys of the islands. They nest communally, usually within one kilometer of each other in a tree with a dense canopy. I think we have observed this in one of the hotel parking lots on Banyan Drive. 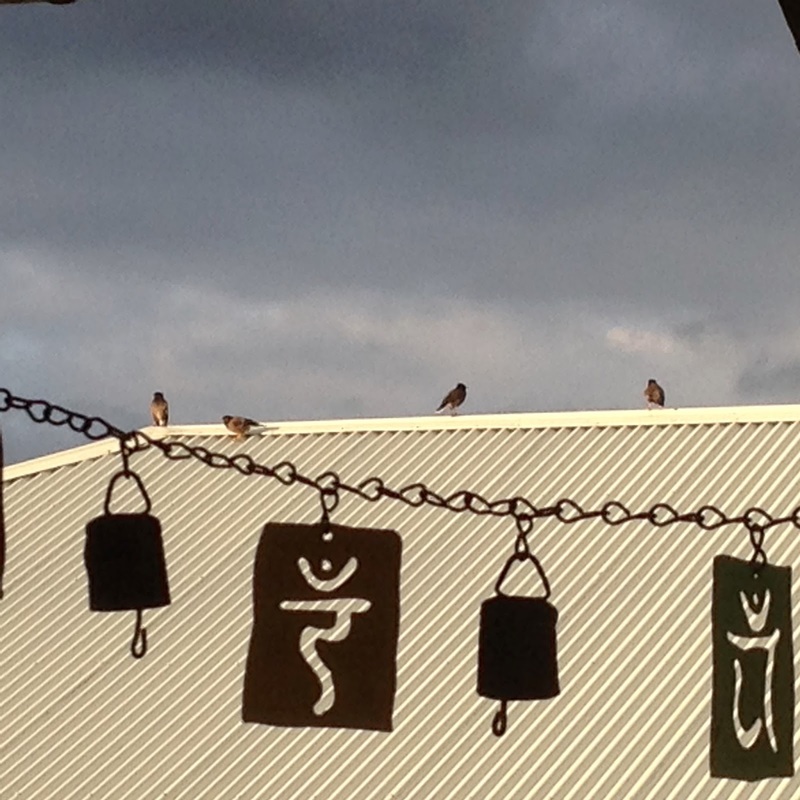 They make "communal noise" (fancy bird phrase skillfully inserted into blog post) I can tell you it's quite a raucous. They will eat almost anything, including road kill, although their main diet consists of bugs and fruit. They make quite a range of interesting noises. Some of the sounds remind me of the Predator. For all their faults, I find them charming and love seeing them around. After all, they aren't going anywhere (can't fault them for that, neither am I). Yep, me and the mynahs, we be mates.